Backed by the rich experience and a competent team of diligent personnel, we are offering a supreme range of Canvas Tote Bags, Gusset Tote Bags. These tote bags offered by us are manufactured using superior grade 10 oz cotton canvas material, which is sourced from reliable vendors of the market. In addition to this, the offered range of gusset tote bags is available in different sizes, thickness and other specifications, in order to meet the diverse requirements of clients. 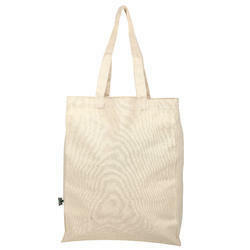 We are the manufacturer and expoter of Canvas Tote Bags.